Will 28th January be a dar day for drivers? Home / Safer Driving / Press Release / Will 28th January be a dar day for drivers? London, 25th January 2017 – As analysis* from the global pioneer of telematics-based car insurance, Insure The Box, reveals that January 28th has, in the recent past, been one of the peak days for Accident Alerts, the company has released new research** suggesting many young drivers’ may not know what to do if they are involved in a collision. January has the dubious honour of being the month when Insure The Box received the highest number of Accident Alerts last year, alerting the business to a customer’s possible involvement in a collision. The peak days were January 15th and 23rd and January 28th . But according to Insure The Box research, shockingly, just 12% of 17 to 29 year olds think they should stop if they are involved in an accident where there is damage or injury to another party. Furthermore, only 12% of 17 to 29 year olds think they should share their insurance details with anyone else, despite the fact that over 90% said they do keep details of their own insurer in their car. In the case of a minor accident, where no one is hurt, only 14% of younger drivers said they should get the name, address and insurance details of the other driver before they leave the scene. Yet this could make it difficult to make a claim against the third party if the driver was not at fault. The Accident Alert service is an integral part of the Insure The Box telematics insurance policy, with a number of data factors from a black box used to assess the likelihood of a customer needing assistance. Once a significant G-Force impact is registered, Insure The Box examine the time of day, if the vehicle is still moving, and the type of road on which the impact has been registered. In specific circumstances, the emergency services are called to the location if Insure The Box is unable to reach the policyholder by phone. Insure The Box has dealt with over 100,000 Accident Alerts since its launch in 2009 and in 2016 emergency services were called on average 16 times a month in response to an Accident Alert. “As we approach the anniversary of one of the busiest days for Accident Alerts, it’s worrying to see the level of confusion among younger drivers about what to do if they have an accident”, said Simon Rewell, Road Safety Manager for Insure The Box. “Knowing what to do in case of an accident is a key part of learning to drive, but it seems that this important information might be being forgotten very quickly after young motorists have taken off the L-plates. 12% of respondents to our research did not know that it is a legal requirement to stop if they damage something or injure someone else in a collision. “What was more encouraging to see, was that 93% of those surveyed would use their phone to take pictures of any damage and the position of the vehicle, highlighting the value of new technology for this generation of drivers. “Insure The Box continues to use telematics technology to make the UK roads safer. Our Accident Alert allows us to guide a customer through the necessary steps to take if involved in a collision – if black box in a customer’s car registers a strong impact and sends us an alert, we will attempt to call the customer to ensure they are okay and provide any help needed. 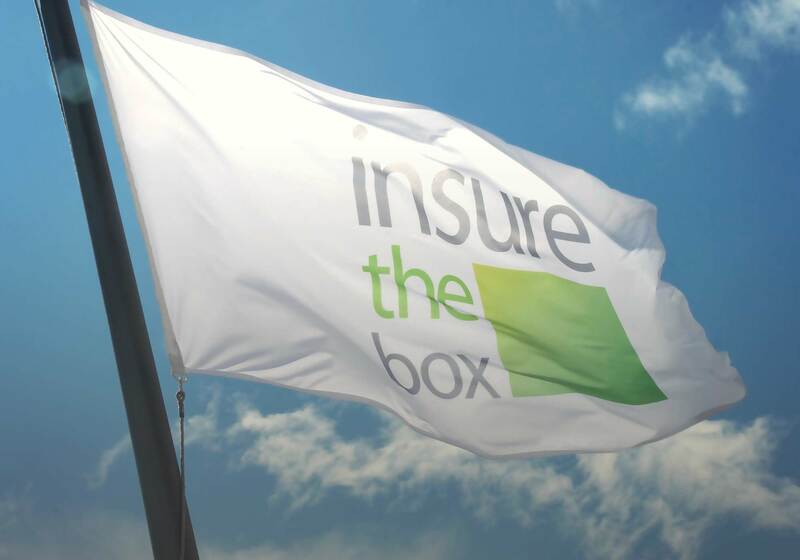 Insure The Box Limited launched in June 2010 with its first product; insurethebox, and is the UK’s largest telematics (or black box) insurance provider, now holding over 3 billion miles of driving data and associated claims. As well as insurethebox and drive like a girl (another Insure The Box brand) it also administers other telematics offerings. Aioi Nissay Dowa Insurance Company of Europe Limited (ANDIE), subsidiary of Aioi Nissay Dowa Insurance Company Limited and part of the major Japanese insurance group MS&AD Holdings, Inc., acquired the majority stake in Box Innovation Group Limited (which is the 100% owner of Insure The Box) in March 2015. Together they are taking a leading role in the development of technologies that will change the face of motor insurance and the way we view the car.